What Impact Does Video Have on Your Website? Home / Uncategorized / What Impact Does Video Have on Your Website? What a difference a video makes! A small non-profit with a big heart and even bigger goals and aspirations puts it all out there on their home page with this short rock-umentary style video, directed and produced by long time co-collaborator Tacy Hess Gaede, co-produced and edited by moi, with some hot graphics and effects by Stanford Chang. A great team effort to showcase the big talent and enthusiasm in a sweet little Colorado town… Almost 500 hits on Vimeo already, and another 50 or so on my You Tube channel as well. 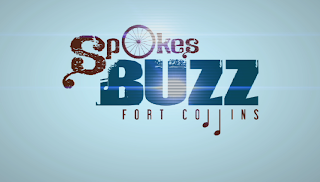 The good folks at SpokesBuzz are perfectly poised to launch a big promotional push for their upcoming showcase at South by Southwest in Austin next month, reaching out to tens of thousands. Stoked to be part of the effort to get the word out. How are you using video on your website or social media page? What results have you seen? Documentary editor with a heart of gold. Seasoned PBS documentary editor, writer, producer and story consultant, specializing in social issue films with a bent towards changing the world.